What is the Heart Yourself Campaign? Valentine’s Day means different things for different people but certainly we all think of pink, red, hearts, and love, right? Inspired by my Flaunt It Week and Eating Journey’s Self Love stories, I’d like to launch the Heart Yourself Campaign this Valentine’s. We are so hard on ourselves more often than not. If you’re as Type A as me, you’re hard on yourself all. the. time. But, enough! Let’s give ourselves a break and instead of finding something to nitpick, let’s find something to celebrate! …find something you love about yourself or would like to love about yourself and find a way to really play it up and flaunt it this week, whether it’s spending some extra time styling your gorgeous hair or wearing a top that accentuates a favorite feature of your body. This time, instead of finding something about yourself to flaunt, I want you to find something you just love about yourself. The thing you love can be something physical (your eyes, etc) or something about your personality (courage, etc.). Something you can sum up in one word. 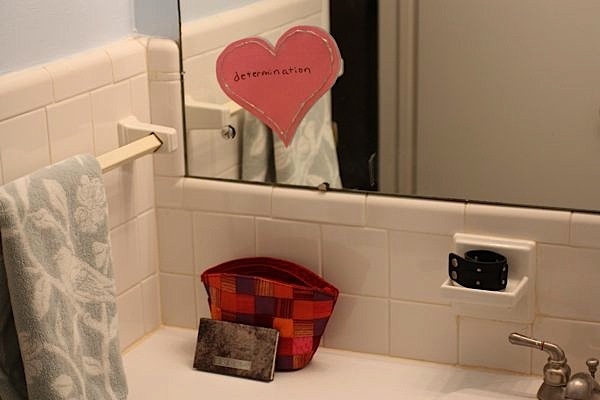 Find the one word for something you love about yourself. 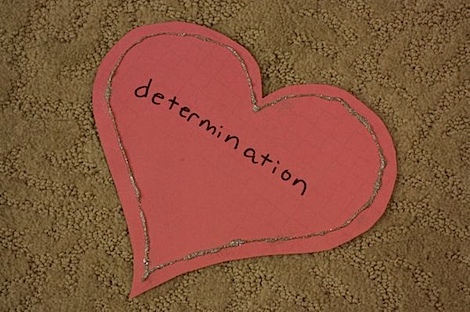 Now, draw a heart or cut a heart shape out of a piece of paper and write that one word down. 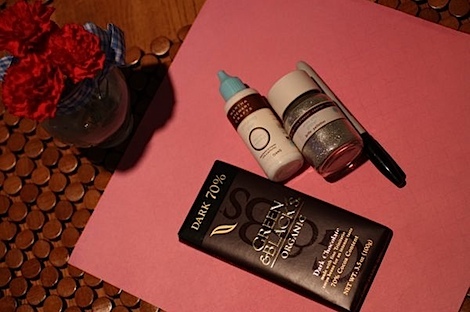 Decorate the paper if you’d like. Have fun! 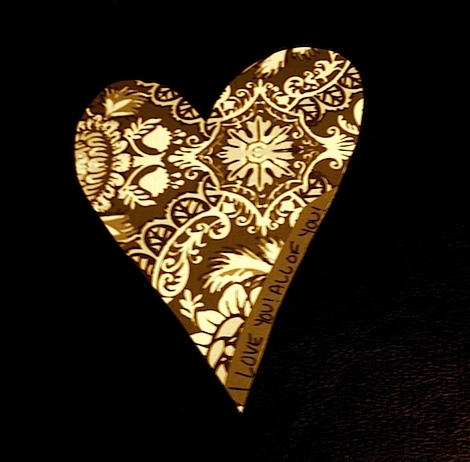 Hang your heart up somewhere you’ll see it often as a reminder of how awesome you are. 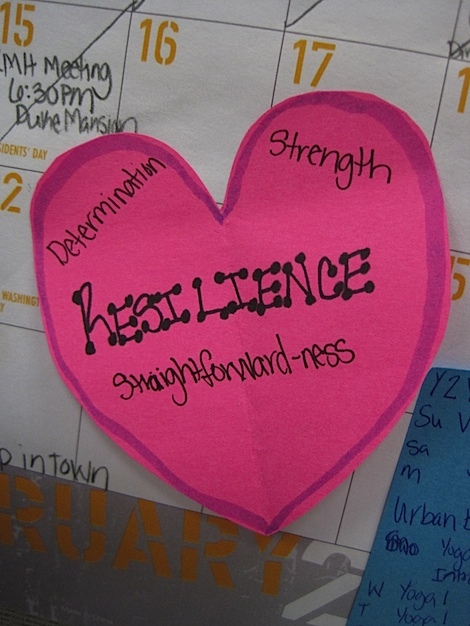 When you feel the urge to pick yourself apart, use your heart to think positively. I know there are some people out there who don’t love anything (or very little) about themselves. I know because I used to be like that. But, I hope you try to find something to love about yourself, no matter how small it is. Find it. Write it down. Hang it up. Celebrate it. You are more awesome than you know. 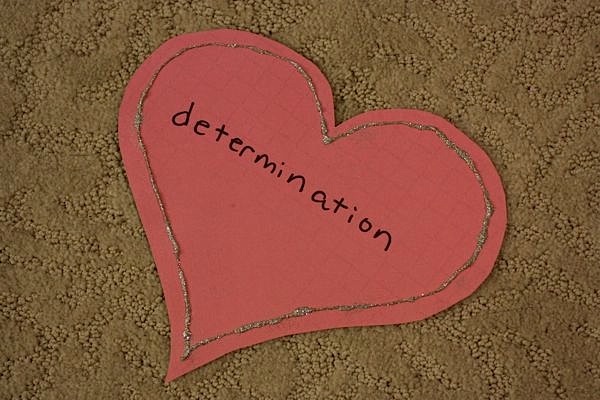 determination – I love how my determination helps me overcome any obstacle. Want to join in? 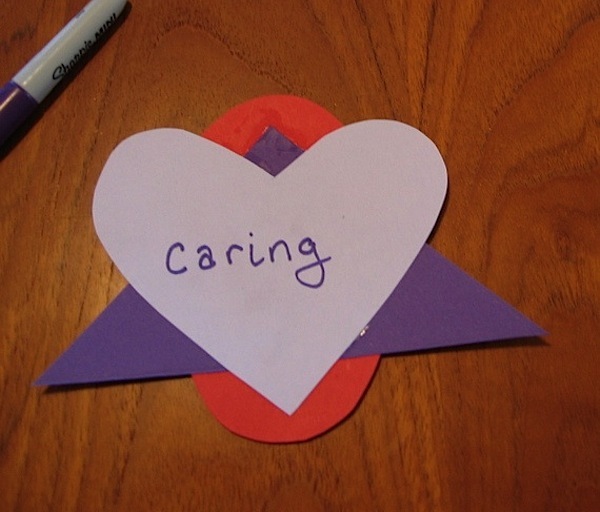 I’d love to share your Heart Yourself ideas. If you’d like, send me a photo of your Heart Yourself idea and I’ll post it. 🙂 Email me your photo at thechiclife at gmail dot com. 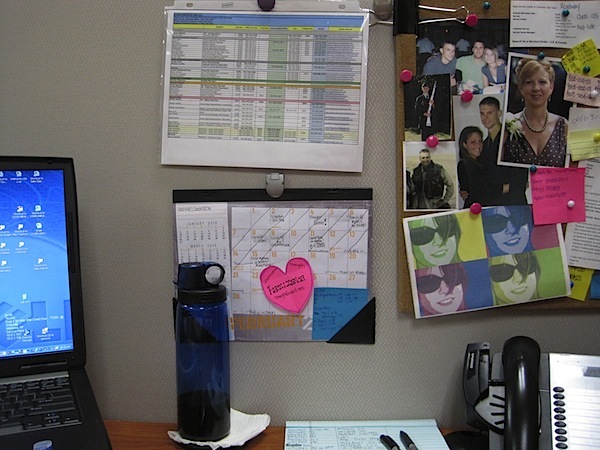 Jessie of Don’t Forget Dessert hung her heart up at work. Love it! 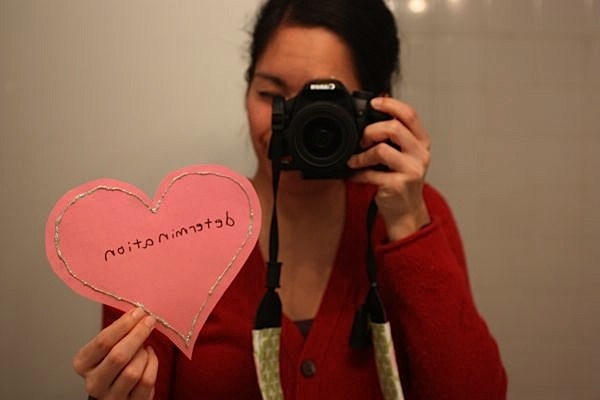 Adrien of Confessions of a Health Nut sent in this fun heart – love the patterned paper! 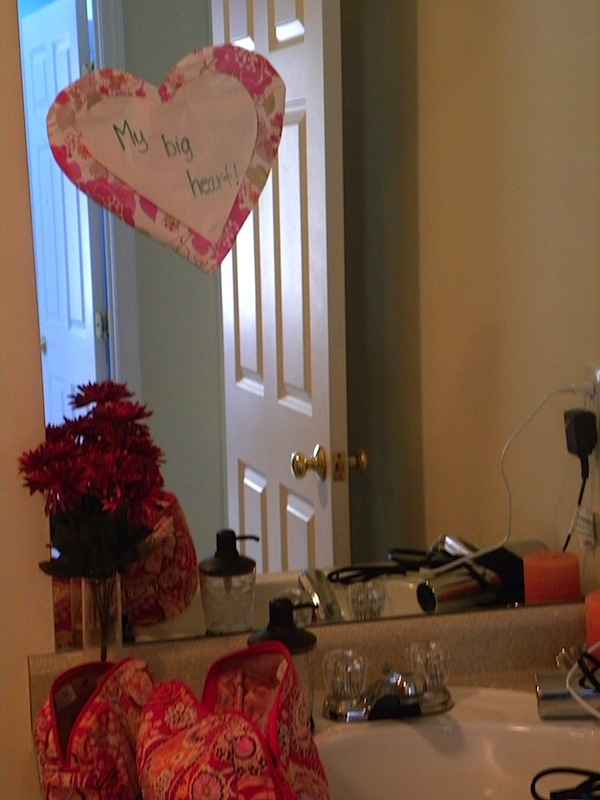 Melissa of Project Bare sent in a pretty pink heart, which she put up in the spare bathroom she uses to get ready everyday. Don’t be so hard on yourself. Heart yourself! This is SUCH a great idea, Diana! I love this and will be making my heart ASAP! I love this – you are such a good hearted woman! 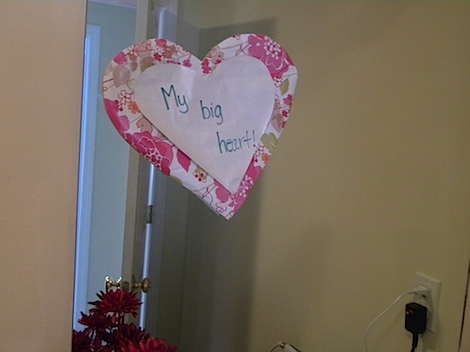 I need to go home and make my heart. . .love this idea! 🙂 Mine will say LOYALTY because I pride myself on being loyal to my family and putting them first. My goal everyday is to make my husband and kids proud of me in my words and in my actions.